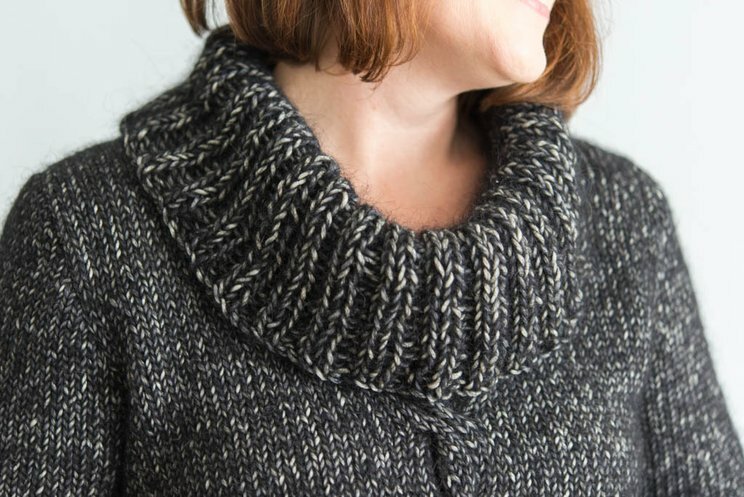 Hidden Ridge is a cowl-neck pullover with gentle waist shaping and a cabled front. 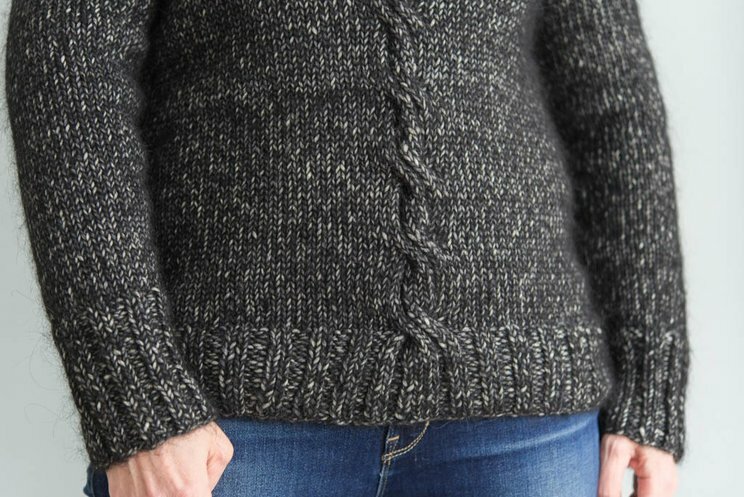 The single 12-stitch cable blends directly into the Stockinette stitch of the rest of the garment, creating a very subtle look especially when paired with Rowan's beautiful-and-fuzzy Fazed Tweed yarn. Since Hidden Ridge is built directly into CustomFit, you can make it in any gauge and size you'd like (really!). 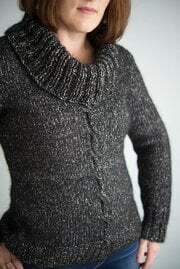 Please note that Hidden Ridge is an intermediate-level pattern and should not be your very first CustomFit sweater. 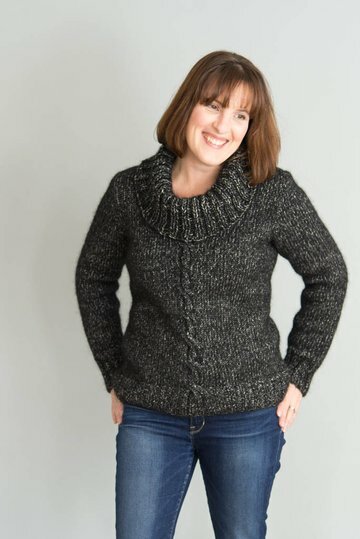 Because every CustomFit pattern has a different stitch count, you will need to do some basic stitch pattern placement, on your own, to ensure the ribbing lines up correctly with the cable. CustomFit will automatically adjust the stitch count of the front to compensate for the cable's width-wise shrinkage. This sweater's waist shaping is located on the back of the sweater only, for a relaxed look. This sample is worked in Rowan Yarns Fazed Tweed, in the color "Ebony". This yarn is a lovely match for the design - the fuzzy, high-contrast look of the stitches is due to Fazed Tweed's unusual tube construction. I liked the Fazed Tweed at 15 stitches and 21 rows to 4'' (10 cm). I strongly recommend a worsted-weight or heavier yarn to preserve the proportion and look of the cable.